Kear Chan and Letitia Maxwell are the newest member of the LCC Board of Elders. We are grateful to the four nominees who expressed a willingness to serve as an Elder; they each received a wide level of support. May God continue to bless our Pastors and Elders, who have been serving our congregation faithfully and passionately. Kear Lim is a founding member of Living Water Community Church. 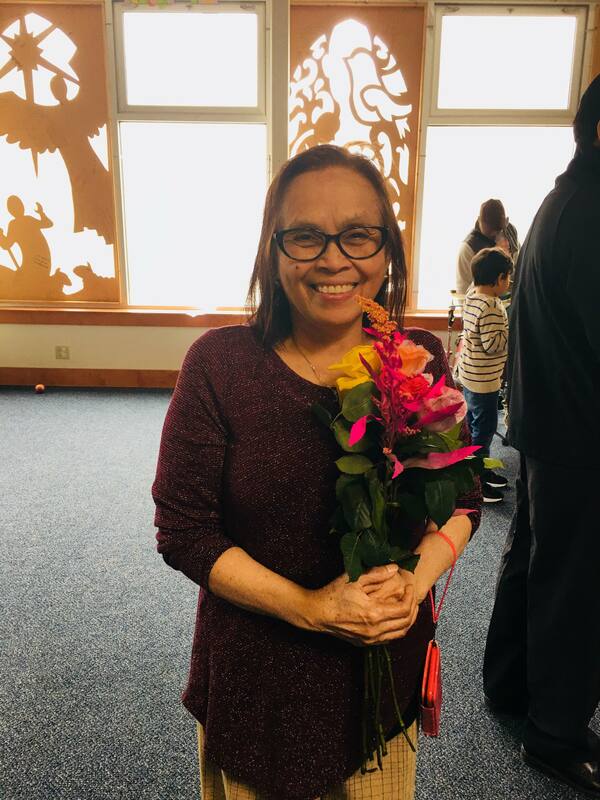 She was born in Cambodia and came to Chicago as a refugee in the 1980’s, when she was welcomed by Living Water’s sister church, Reba Place Church, and became a Christian. Kear’s husband, Chiv Lim, and her daughter, Sophany Chan, are also members of Living Water. Kear is a regular worship leader and preacher for our Cambodian service, and is active in the Saturday night Khmer house Bible study fellowship group. She leads the LWCC Cambodian Dance Team with Sophany. She brings experience, age, and wisdom to the elder’s group. Letitia Maxwell has been a member of Living Water since 2016, shortly after she moved to Rogers Park to live near her son. Letitia is a member of Living Water’s Friday morning women’s Bible study. She is also a worship leader. 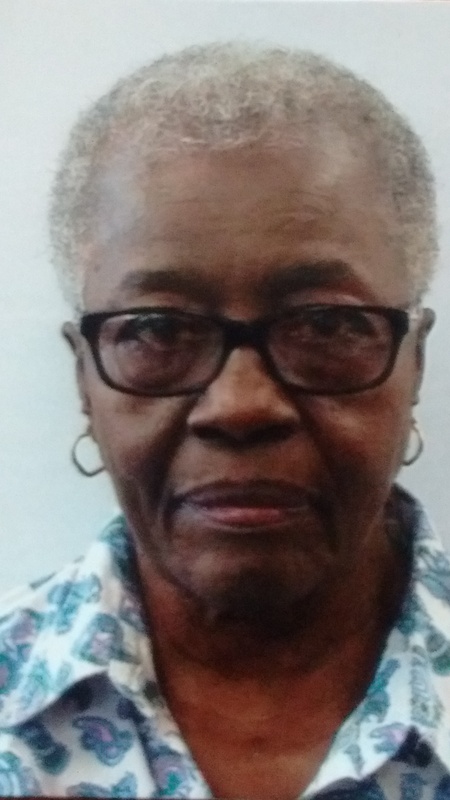 Born in Jamaica, Letitia lived most of her adult life in Brooklyn, New York with her husband and son, where she was a very active and much beloved member of her church there for over thirty years. She’s been a follower of Jesus since she was a young girl. Click here to view a wonderful video of Balloon Drop preparation! My parents raised me up as a Messianic Jew in Dallas, TX. My father became a Christian when he was in high school, which his Jewish family and community deeply resented. He and my mom taught our family to understand ourselves as both Jewish and Christian; we believed that our belonging to the Jewish people helped us respect the Gospel in its original context, and that our faith in Jesus gave us a clearer understanding of the story and mission of the Jewish people. My family’s faith and life together was vaguely Evangelical, but with Jewish holidays, songs, and culture replacing more traditional forms of Christian worship. When I moved away from Dallas, I never found another Messianic congregation to belong to, and I became very turned off by Messianic Judaism’s focus on militant Zionism and by the Evangelical church in general. I wanted to know and love the international church and discover a way around the segregations of race and class that divide the church in America. I wanted to learn how to follow the commandments of Jesus literally in my mundane life and not merely focus on the theology or prophecies related to the death of Jesus. I still consider myself Jewish, but I never returned to the Messianic movement. Finding a new spiritual home in the world has been very difficult. I’ve tried out all kinds of communities: leading worship for Charismatic churches; studying Hindu philosophy and worshipping primarily as a Muslim in Southeast India; organizing with a community of secular Socialists and Anarchists. My most formative community was a Catholic Worker intentional community I helped start in Denton, TX. At first, we were all voluntarily homeless and ran a community house for the homeless. We all worshipped together as Roman Catholics. Eventually, we all moved in to a house together and opened up a sharing-based, farm-to-table restaurant next door. As we shared our possessions and decisions, I discovered a common life and discipline that reminded me of the life of the disciples of Jesus much more than the churches I had tried to be a part of. After living in the Catholic Worker for a few years, both my personal life and the community in Denton fell apart. I had tried to be a leader and a hero for all my adult life, but I realized that I needed to heal and mature through more friendship and discipleship with older, mature believers who shared my vision for Christian life. I moved to Chicago in 2016 to seek counseling and discern membership with Reba Place Fellowship in Roger’s Park. I started attending Living Water at the same time. I have been deeply impressed by the care and commitment that members in this neighborhood demonstrate towards one another, and I have enjoyed my own participation in the life and mission of this church as I try to learn how to follow Jesus in this neighborhood. During my Sophomore year at Purdue, a traveling evangelist met with my roommate in our room to convert him. I was not much of a Christian, I knew the bible, but had no interest. I was to ticked off at him that I went out and bought a new translation so that I could show him up. But when I started to read the Gospels, WOW this guy Jesus really spoke to me! That was the beginning of my journey. It was also when I saw no justification for violence. As my wife and I moved around and tried churches, one of the best we found was a Church of the Brethern. It had a pacifist heart and an informal service. When we moved to Michigan, we began attending a Mennonite church. When I moved to Chicago, good old Google located 3 churches in the area and I tried this one because it was closest and I could not find Reba Place. David came to the United States from Veracruz, Mexico in 1998, possessing — like most immigrants — little more than a dream of achieving a better life for himself and members of his family still in Mexico. David grew up as a Christian child, and was regularly involved in Bible study, preaching, and service. Upon arriving in Chicago, the Adventist church was instrumental in helping David to settle, and to establish himself in the local and faith communities. 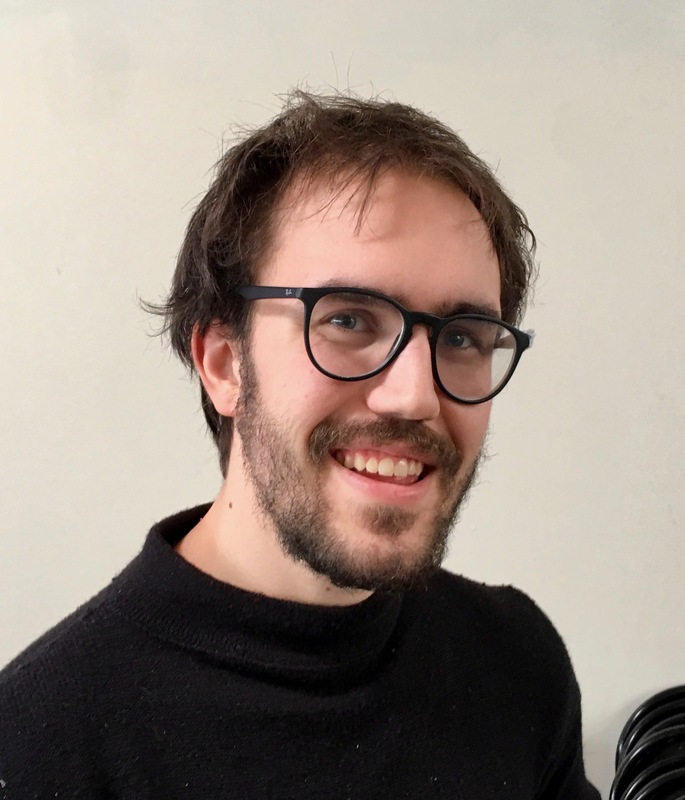 Learning about issues of social justice at the Erie Institute of Social Justice sparked a journey toward finding a more accepting, open minded Christian community, rather than the conservative beliefs of most of the Christian churches David had attended. David learned the importance of being involved in community organizing and talking about things that matter: Equal opportunities, the right to education, housing and health care, women’s and LGBTQ rights, immigrant rights — but foremost, the right to live with dignity and without the fear of being cast away from a society reluctant to accept those born on the wrong side of the fence. David found a lack of social justice action, and a silent attitude among faithful Christians. His faith in the reality of Christianity began to erode, and he stopped attending church. When David’s son, Joshua, was born in 2017, David began to feel a pull towards returning to the church. He gave his son the name Joshua because of the meaningful importance of Joshua’s work accomplishing the conquest of Canaan and, the courage and resilience the Patriarch had to follow God’s instructions. David likes the part in Joshua 2:9 that refers to not being afraid, and to having courage, because the Lord our God is with us wherever we go. David has seen God provide in so many ways in his own life, during difficult times. He wants his son to grow up as a man of faith, who will do God’s work in our society, and have the courage to stand up against injustices. David was first introduced to Living Water Community Church when they hosted a Protect Rogers Park (Protect RP) meeting for community members concerned about the executive actions proposed in early 2017 by our current President. As David became more involved with the Protect RP group, he kept meeting people from Living Water who were so nice, friendly, and genuine. 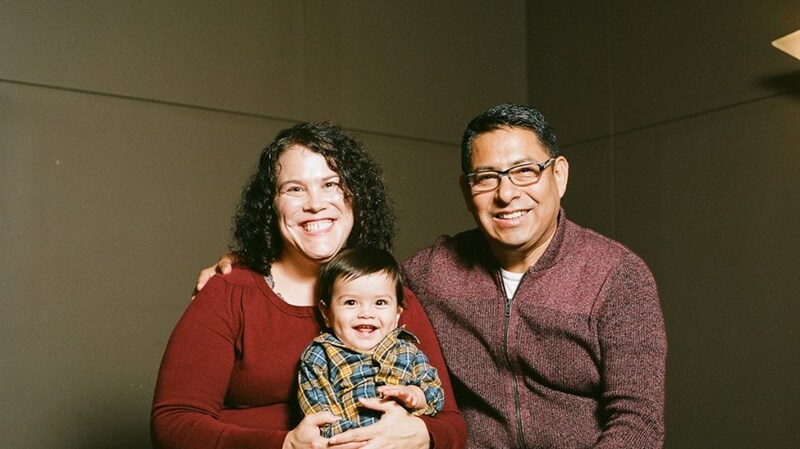 David began attending services at Living Water, and loved the multi-cultural membership, the church’s community focus, people’s love for one another, and their belief in social justice principles. 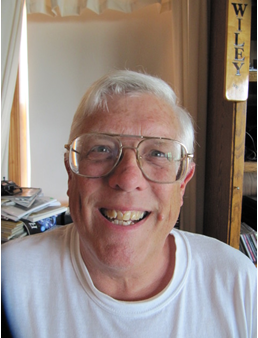 David has been attending Living Water regularly, since, and looks forward to becoming a member. This article originally appeared in the September issue of The Mennonite magazine. To read more features on new models for church, read our current issue online or subscribe today. Photos of Francine Maombi by Charissa Johnson Photography. Living Water Community Church sits at the crossroads of Pratt Blvd. and Ashland Ave. in Chicago. But this is not the only crossroads the congregation fronts. 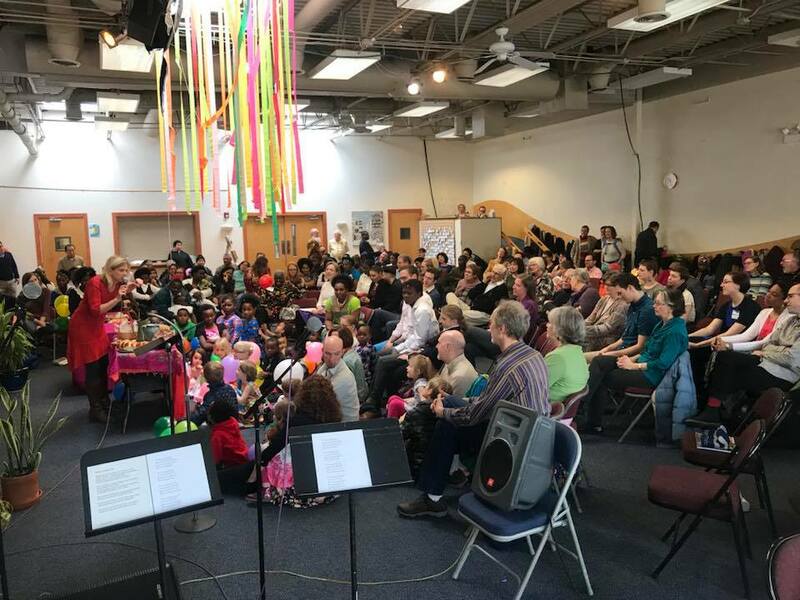 Located in Chicago’s Rogers Park neighborhood, the congregation is in the heart of one of the city’s most diverse neighborhoods and the congregation’s composition has shifted over time to mirror its community. If you arrive at the church building on a Sunday morning at 9:30 a.m., you’ll find simultaneous worship services led in English, Khmer and Swahili. 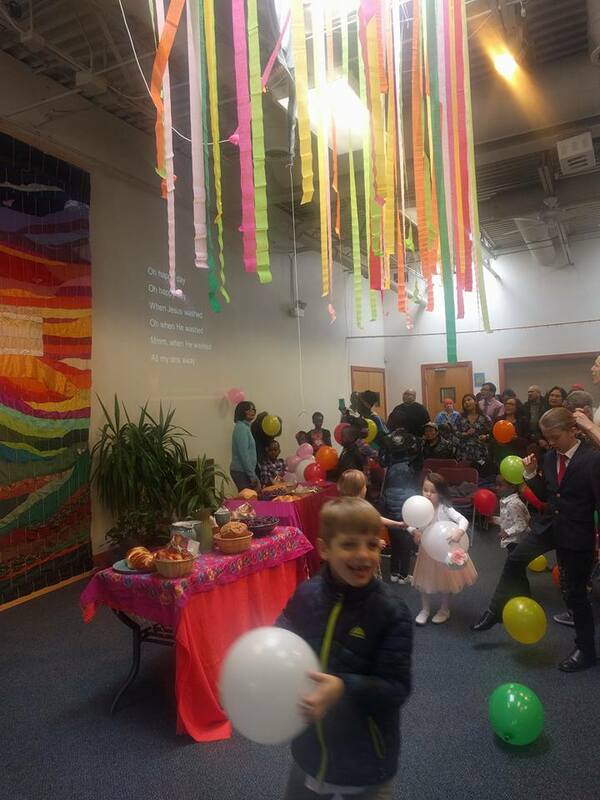 The congregation has four pastors, each with a different role and primary responsibility to a particular community in the congregation and local community. The congregation works hard to identify and raise up leaders from within the congregation and community to serve in staff and leadership roles. 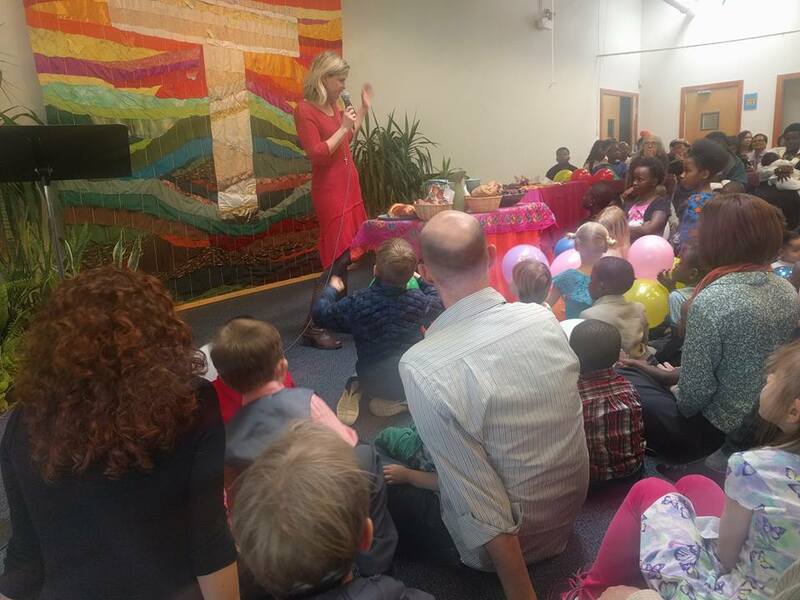 Recently, the congregation has partnered with Mennonite Central Committee Great Lakes to pioneer a new group program, focusing on empowering some of the most recent arrivals to their congregation, many of them recently resettled refugees who have sometimes had a difficult time finding sustainable employment. Lamb was part of a team that worked alongside Jean Marie Bikorimana, a member of the congregation who grew up in Tanzania and recently moved to Chicago with his family. In 2016, Bikorimana was a senior in high school and was also working 60-70 hours per week to try to support his three brothers and sisters. The church talked with Bikorimana about ways they could walk alongside him and what emerged was a plan to help Bikorimana network and get better equipped to find a job after graduation. With support from the congregation, Bikorimana enrolled in 12 weeks of training at a trade school. By the time he graduated, Bikorimana had found a skilled labor job that allowed him to earn well above minimum wage and had a regular Monday-Friday schedule. Once he started work, Bikorimana started to become aware of other job openings within his company and sister organizations as well. He used his network to help other members of Living Water complete applications, develop their resumes and get a foot in the door for job interviews. Lamb says that this model of leadership develop and the ripples it created inspired the church to start dreaming bigger. MCC Great Lakes helped to provide a stipend for Bikorimana while he completed trade school and is talking about additional funding for the congregation to help them experiment with additional job creation and apprenticeship models. MCC’s funding supports 75 percent of the efforts and the congregation is committed to funding 25 percent of each project. The congregation has now partnered with another member, Francine Maombi, who is originally from DR Congo. Maombi was very involved at the church, but struggled to find steady employment that could provide for her family and also allow her to be home at reasonable hours. Williams runs a catering business, Urban Tables, at the church and, using grant funds, she was able to hire Maombi. While Maombi worked and learned about the business, she was able to take time to earn a food-handling permit that would allow her access to a broad range of food service jobs. “The whole concept of Urban Tables is to decrease stress for urban families by getting work and providing jobs that don’t take people away from families,” said Williams. Maombi has also left her mark on Urban Tables’ style, too. 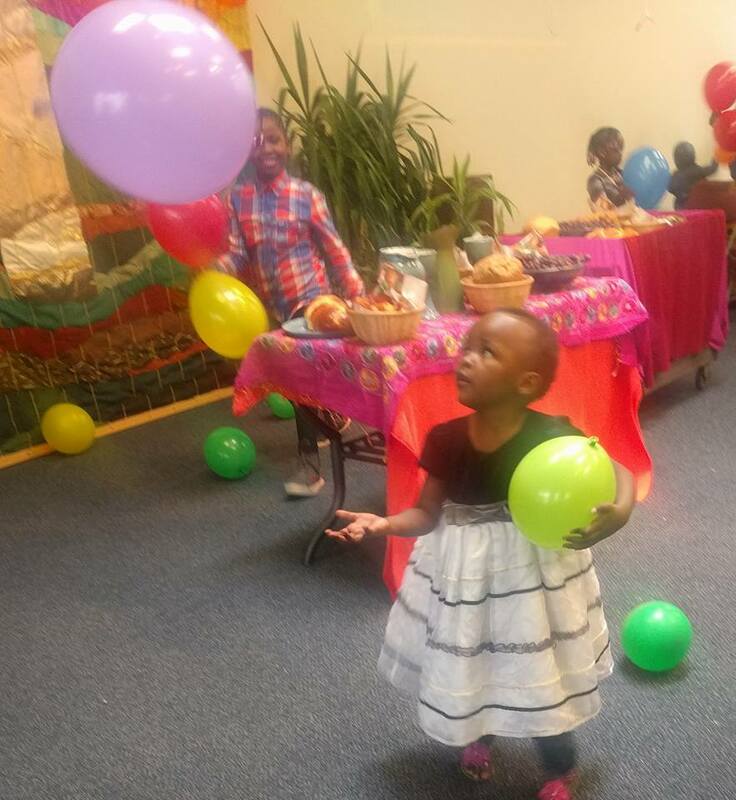 She helped to host a pop up café for the congregation and community that featured Congolese food and music and art by local musicians. Emanuel Kalimili, a member of the congregation originally from Tanzania, displayed some of his art at the café event and was able to sell 7-8 paintings in one evening. The congregation also has a number of other pilot projects in the works, with ideas ranging from hiring teenagers to go out on “bulk shopping trips” to buy basic groceries in bulk that could then be sold conveniently at the church. Williams says she realized that not only is getting to a grocery store sometimes difficult because of transportation and city traffic, but church members may not have the ability to compare costs from store to store and might end up overpaying. One example of this is selling eggs for $1 per dozen, roughly $4 less than many of the people purchasing the eggs were paying at local chain grocery stores. Several women in the church have also worked to start a small sewing business, making fabric shopping bags and aprons that the church is helping to sell. The business is being subsidized right now in hopes that it will eventually grow to be self-sustaining.